I really wish I could remember how I found this thing. 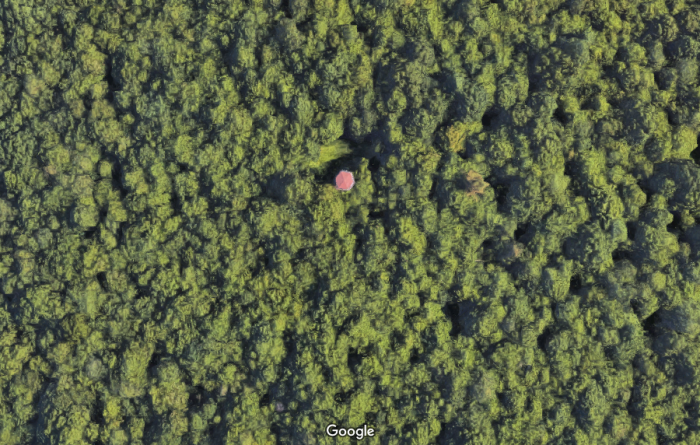 It would probably freak you out if I told you that I was staring at Google Maps satellite images one day for some reason and happened to find it in the woods of Burlington. It would probably make you feel better about my mental state if I told you that I received an email or something from a fellow explorer asking me if I knew what it was. So I proceeded like any normal person who totally doesn’t stare at maps for hours on end on a fairly regular basis and reached out to some people who would perhaps know about such a thing. My tower-obsessed friends didn’t know, so I went to the heavy-hitter. 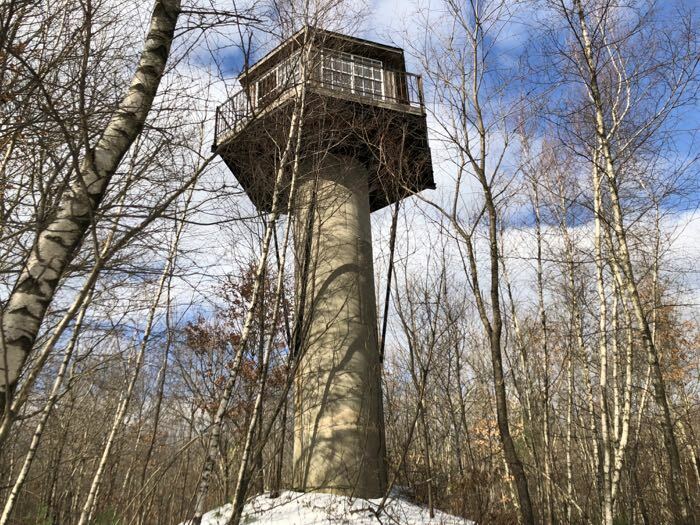 The tower was built for private use and is on the property of the owner, Kenny Hubble. It’s actually on the hillside almost opposite from where we live on West Chippens Hill. [Redacted] and I were in it a number of years ago with the Hubbles. It was quite neat. Regretfully, vandals have destroyed it to the point that it is no longer usable. As I was wrapping up all things Burlington for this very website, I still hadn’t found the Hubble Tower. I decided I needed to check it out. So I did. 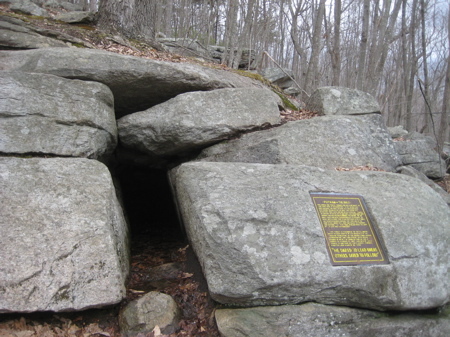 A few months prior, when Calvin and I hiked through the Mile of Ledges and looped around to the end of Greer Road, I thought about dragging him north up the Tunxis Trail to try to find it. But we’d just done 3 miles and I wasn’t sure where it was, so I skipped it. Now, with a fresh layer of snow, I returned to the end of Greer Road to search in earnest. 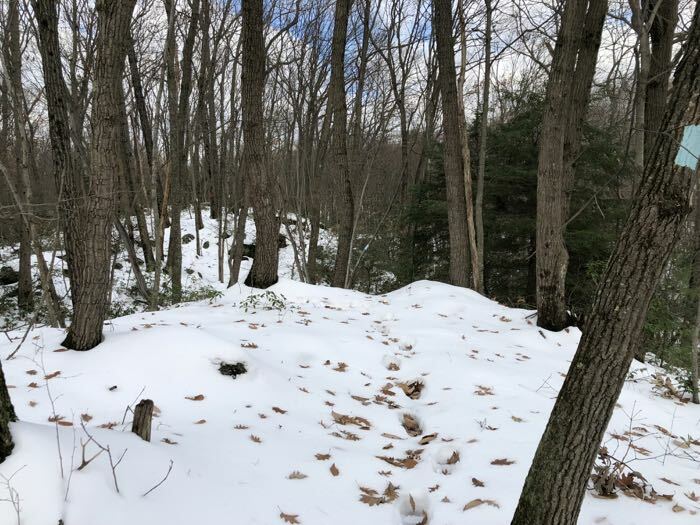 Up the access trail, to the Tunxis, and off I went. 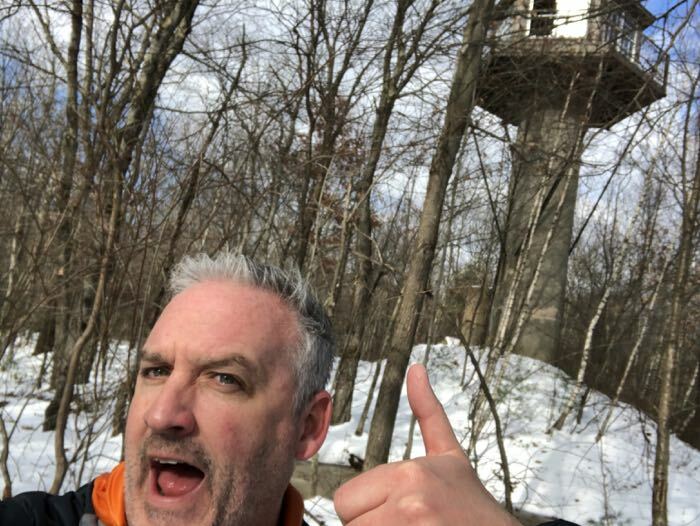 I’m not going to give away the exact location, though of course if you have an urge to look at a giant private observation tower that you can’t climb that has been ruined by vandals, you’ll figure it out. 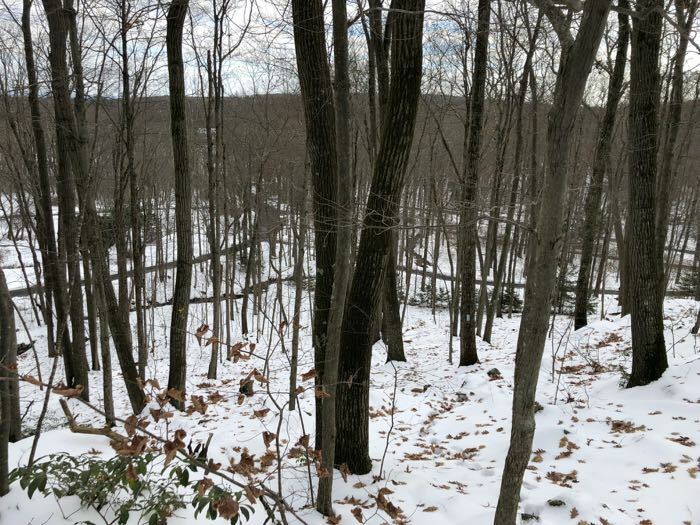 After 10, maybe 15 minutes on the Tunxis, I began bushwhacking to attain the ridgeline and then simply followed that north. 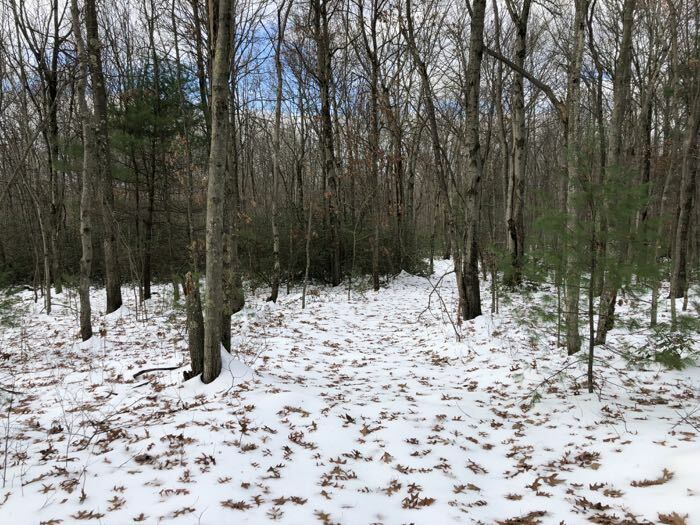 There are a few woods roads here that I’m sure would have made my trek easier, but I didn’t know about them until it was too late to use them. 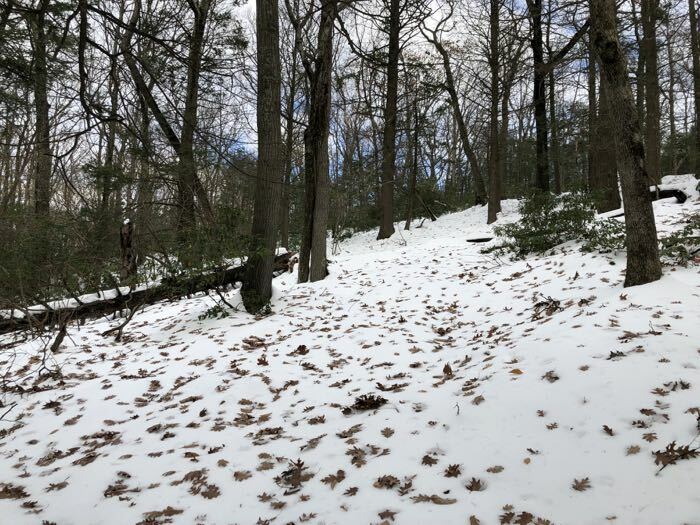 Besides, it’s always more fun crashing through mountain laurel and snow, right? I made my way directly to the tower and wow, it sure is impressive. 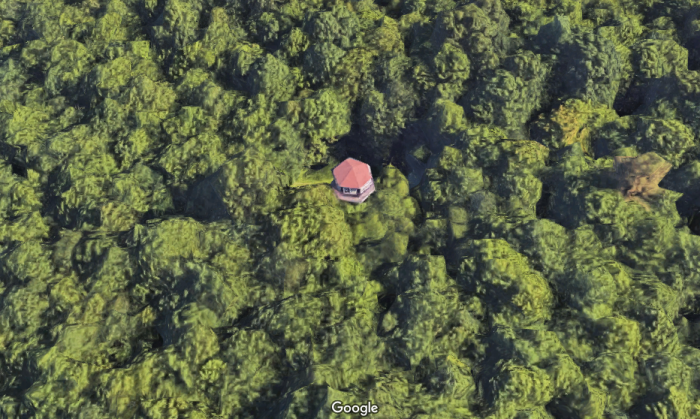 Holy cow, no wonder it showed up on the Google satellite image so easily that other people, definitely not me, would see if they were to do such sleuthing for fun on Friday nights. The way up has been removed entirely, but from what I could see, this place was awesome. And that was it, my friends. The very last thing for me to find, do, experience in the wonderful town of Burlington, Connecticut. A thing that is inaccessible, off-trail, and slightly weird.